Kevin has been in his role of Warehouse Manager for 3 years. Some would say that Kevin is the most important man in the business. He is responsible for ensuring that all of Ferndale’s customer get there orders on time, every time! Kevin was originally appointed as a Warehouse Assistant, but after 2 years, he was promoted to Manager when the job became available. Kevin controls all incoming and outgoing goods, as well as ensuring that the production team always has all of the components readily available for the day’s production. He looks after Ferndale’s warehouse like it is his own- every pallet has a home, and Kevin knows exactly where things are, and ensures that Ferndale’s Freshness policy is always upheld. 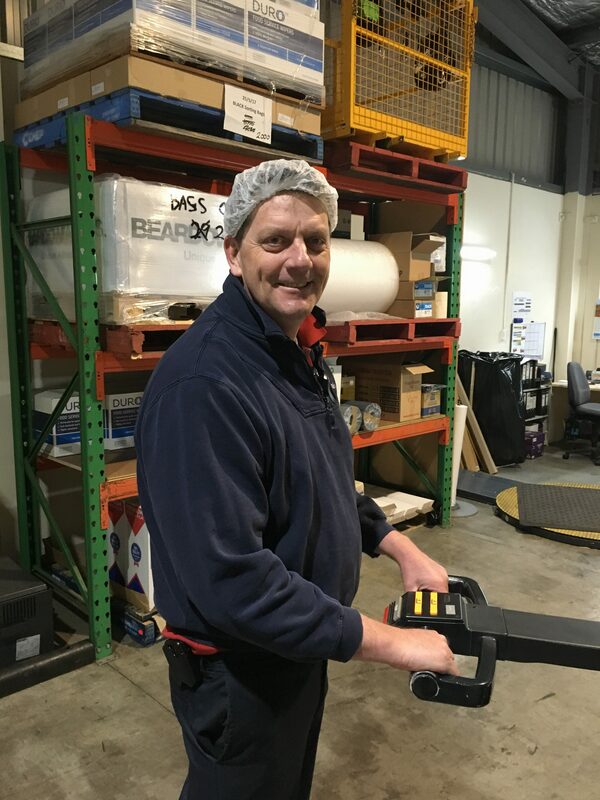 Kevin has always worked in Production & Logistics, with various roles before beginning his employment with Ferndale. Outside of Ferndale. Kevin is a keen volunteer at the local CFA.